Thomas Price practice maintains a general civil litigation practice and has provided legal services to individuals and companies, large and small, resolving issues from simple contracts to complex commercial, disputed trusts and estates and real estate matters. Thomas’ practice focuses on assisting clients to promptly resolve disputes. His services include prudent, advance planning for possible disputes, deliberate negotiation of emerging disputes and effective use of alternative resolution such as negotiation, mediation and arbitration. 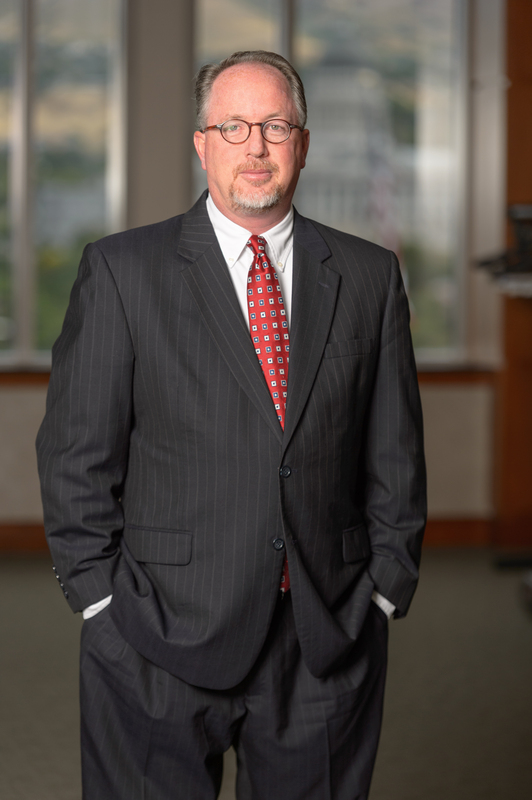 When necessary to settle a dispute, Thomas has considerable experience with litigation, representing clients at trial and appellate levels in both state and federal courts. Thomas also appears before state administrative bodies. Prior to joining the firm in 2006, Thomas was in-house counsel to a multinational brokerage and internet marketing company and with other area law firms. Real Estate Development. Sterling Education Services, Inc., August 11, 2005. Title Insurance. National Business Institute, Inc., 2001. Represented property owner in prosecuting a boundary by acquiescence claim. The case settled on very favorable terms following limited discovery. Represented trustee of multimillion dollar estate in challenge of grantor competency and disinheritance. The case settled on extremely favorable terms following limited discovery. Represented beneficiary of multimillion dollar trust challenging trustee’s action and disbursement of trust assets. The case settled on extremely favorable terms following limited discovery. Represented a local auto parts manufacturer in a contract dispute with supplier. The case settled on favorable terms. Represented beneficiary of multimillion dollar trust challenging trustees’ valuation of trust’s assets and attempt improper disbursement of trust assets. The case settled on favorable terms following limited discovery. party to a contract. The Utah Court of Appeals upheld the trial court’s award to property owner relative to contract rights and ownership of real property. Represented a privately owned supply chain solutions company against claims of breach of contract and employment issues. The case settled on very favorable terms following limited discovery. 251 P.3d 837. Represented a third-party garnishee which was ordered to pay funds owed to a judgment creditor. Successfully set aside trial court’s judgment and award of $800,000.00, plus post judgment interest of a third-party garnishee. Represented local bank regarding its rights on a promissory note, guarantee and reorganization of creditors. The case settled on favorable terms following limited discovery. Represented regional bank regarding breach of a promissory note and guarantees and disposition of collateral. Successfully represented the bank defeating a motion for a temporary restraining order and settled the matter on favorable terms. Represented regional bank regarding title dispute of certain real property. The case settled on extremely favorable terms following limited discovery. Represented a movie production company regarding adverse claims of ownership of its intellectual and personal property. Prevailed in matter maintaining ownership of property. Represented client regarding actions to have client declared incompetent. Prevailed in denying appointment of guardian and conservator. Represented personal representative, trustee, manager and individual against claims from heir, beneficiary and company member regarding ownership and distribution of assets and fiduciary duties. The case settled on extremely favorable terms following limited discovery. Represented client regarding adverse claims to promissory note, guarantee and collateral. The case settled on very favorable terms following limited discovery. 1184. Represented institutional trustee obtaining summary judgment regarding amount of trustee’s fees. The beneficiaries successfully appealed the trial court’s denial of a jury and case remanded on that issue. The case settled on favorable terms. Represented chiropractor in a contract matter regarding issues of use, sale and marketing of certain equipment. The case settled on extremely favorable terms following limited discovery. DFI Properties, LLC v. GR2 Enterprises, LLC, 2010 UT 61, 242 P.3d 781. Represented a residential lender in an unlawful detainer suit after borrower defaulted under the terms of the trust deed. Lender prevailed and the borrower attempted to appeal the award of attorneys’ fees and costs. The parties settled the issues upon favorable terms. Anderson v. Toomey, et al, 324 Fed.Appx. 711; Anderson v. Davis, 199 P. 3d 367. Represented the owner of certain property against claims of ownership by Plaintiff. Prevailed at trial and appellate levels at both state and federal levels. Represented owner of Salt Lake City real property in early termination of lease to large new car dealer. The parties settled upon favorable terms. Represented clients leaving a professional recruiting firm. Negotiated favorable terms regarding non-compete and non-solicitation agreement and cash settlement. Coet v. Labrum, 2008 UT App. 69, 180 P. 3d 765. Represented the seller of automobile dealership. Settled many of the disputed issues. The parties tried the disputed issues and seller appealed issue of attorneys’ fees. The parties settled the issues appealed. Represented owner of storage units against claims of breaches of contract, warranty and conversion. The case settled on favorable terms prior to trial. to certain claims made by a group of individuals claiming to be a band of the Wampanoag Nation, Tribe of Grayhead. Prevailed on motion for summary judgment on all causes of action. Smith v. Frandsen, 94 P.3d 919 (Utah 2004). Represented developer against claims asserted by home buyers regarding duties to the buyers. Prevailed with Utah Supreme Court holding that sub divider’s duty of care only extended to developer and contractor. Boswell v. Jasperson, 266 F.Supp.2d 1314 (D. Utah 2003). Represented land owner in a quiet title action. Obtained a decision in favor of client. (102002); 416 F.Supp.2d 1098 (D. Utah 2005); 497 F.3d 1057 (10th 2007). Represented certain county employees and successfully defended their actions relative to providing health care services to citizens of San Juan County, Utah, and the Navajo Nation lacked regulatory over the county employees.